The chemist also had a boat and enjoyed sailing, especially to a house he had in Jamaica. He also wrote two books, including the 1977 memoir Excuse Me Sir, Would You Like to Buy a Kilo of Isopropyl Bromide? In them, he wrote about how he had helped in the development of the first atomic bomb, as well as in developing weapons for Israel. But in that varied and interesting life, one thing was missing: a bar mitzvah. 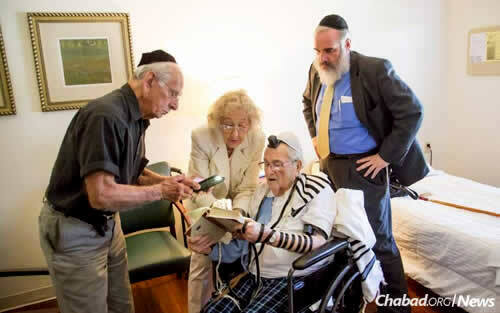 And so, at 96, with the assistance of Rabbi Hesh Epstein, co-director of Chabad of South Carolina in Columbia, Gergel participated in the coming-of-age Jewish ceremony. A day later, he passed away. He knew that he was Jewish, but there was little religion in his life, according to Foster. His mother was a socialist, Foster said, and his father had committed suicide, unable to adjust to the challenges of life as an immigrant in the United States. 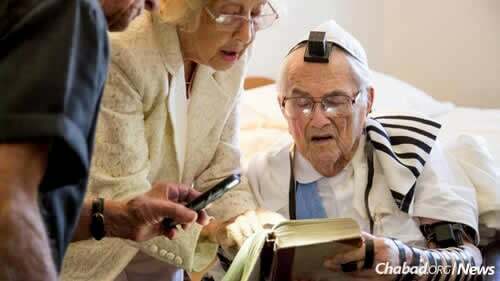 Foster said she frequently heard Gergel express regret about not having celebrated a bar mitzvah, the Jewish rite of passage in which boys at age 13 read from the Torah for the first time, and begin to don tallit and tefillin. Epstein met Gergel three decades ago when he moved to South Carolina. The scientist would come periodically for services, and the two became friends. But Gergel started having some health problems and wound up moving away, and Epstein lost track of him. 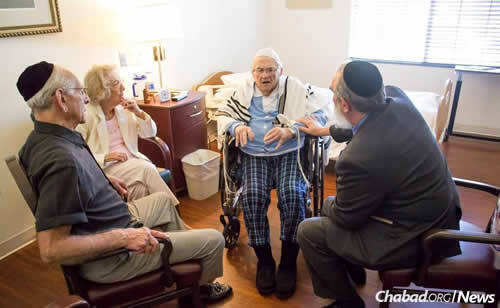 The rabbi received a call from a funeral home about three months ago because Gergel was trying to make end-of-life arrangements. The two saw each other for the first time in a decade. 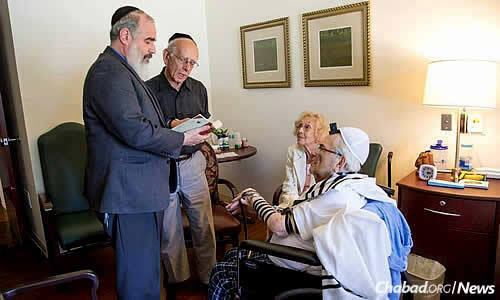 The rabbi understood that the lack of a formal bar mitzvah bothered Gergel. “It’s not too late,” he told Gergel. 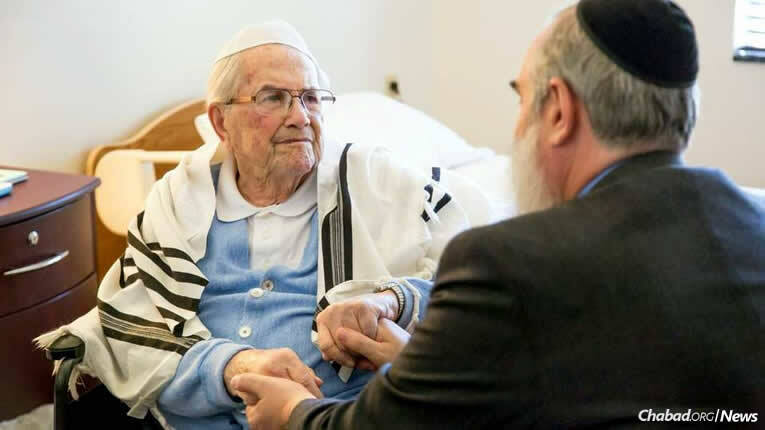 On July 4, Epstein gathered Foster and another friend, Harold Kline, in Gergel’s room at an assisted-living facility. 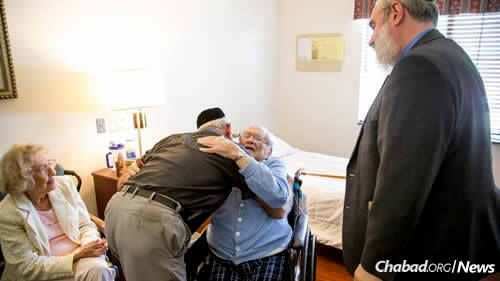 The nonagenarian leaned forward so the rabbi could drape him in a tallit. Epstein and Gergel recited a blessing together. Then they wound the leather straps of the tefillin around his arm and his head. “Now you are officially a bar mitzvah,” Epstein told him. Foster, who has known the rabbi for more than 30 years, smiled, sitting beside Gergel. She remarked that neither of them were drinkers, but they managed to enjoy a little of the schnapps Epstein had brought with him. A few days later, Epstein spoke at the ceremony that originally brought the rabbi and chemist together again.